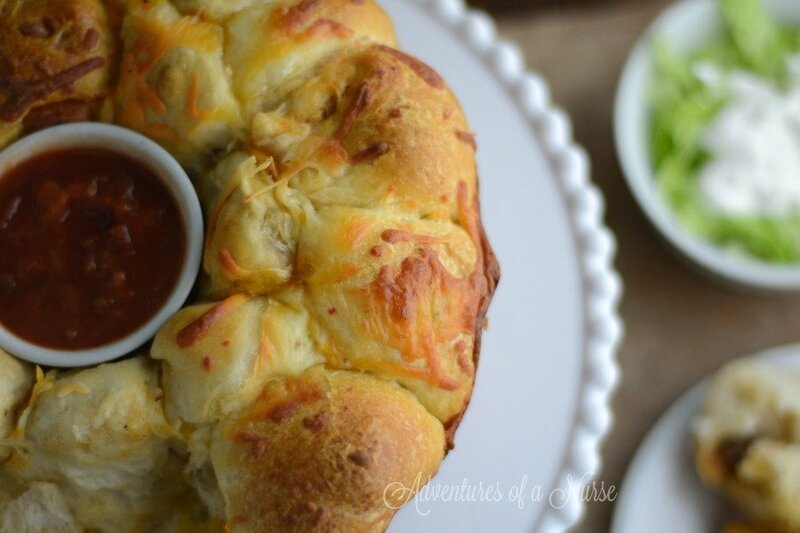 This is the perfect game day or after school snack. 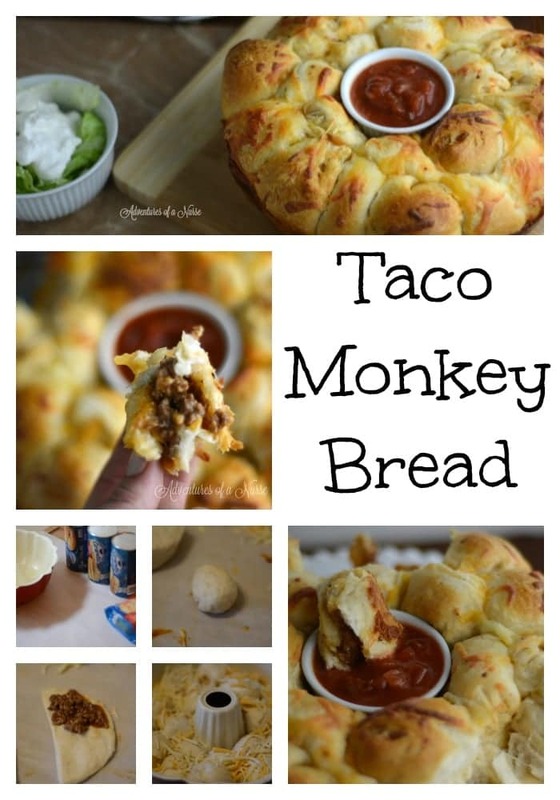 TacoMonkey Bread, meat and cheese wrapped in a Grands biscuit delicious. Preheat oven to 350.Cut biscuit in half and place spoonful of meat in the center. 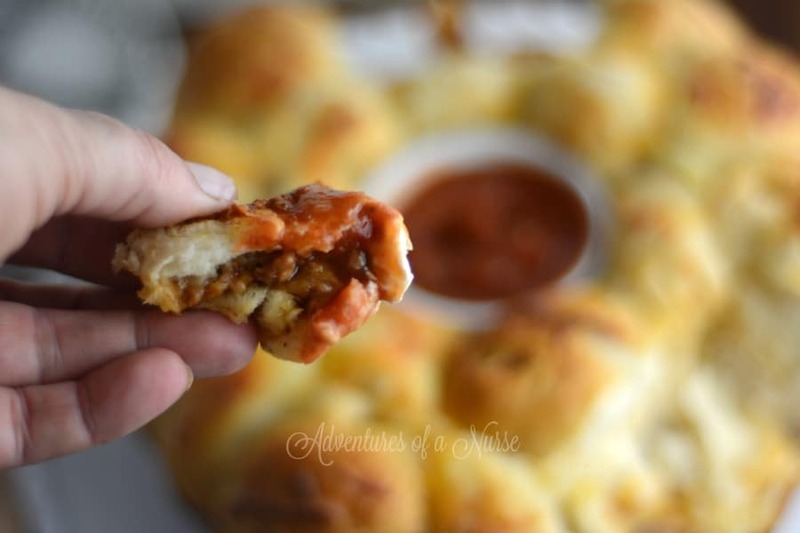 Top with cheese and form into a small ball. Place into a greased bundt pan. Repeat until pan is full. Bake for 25-30 minutes or until top is golden brown. Serve with salsa and any toppings you love with your tacos. Thanks for sharing this at Motivation Monday on Mom Home Guide! I think my kids would love this! 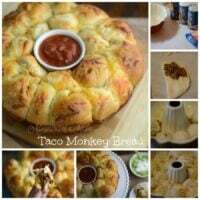 I think I like the savory version of monkey bread better!